Our favorite time of year is here once again! Time to publish our predictions for the top promotional product trends that will influence marketing in 2019. Many trends from previous years are still relevant for 2019. Technology products are as popular as ever. The drinkware category continues to blow up. And the enthusiasm for eco-friendly promotional products is alive and well. There are also many new emerging trends that will influence promotional products and their designs this year. Here are 5 promotional product trends to keep an eye on for 2019. For the past several years, we’ve written about how promotional products are becoming more retail-inspired. What exactly does that mean? Well, it can mean a few different things. Many actual retail brands are now available as customizable promotional products. But non-name brand items are also starting to emulate the retail look and feel when it comes to product design. 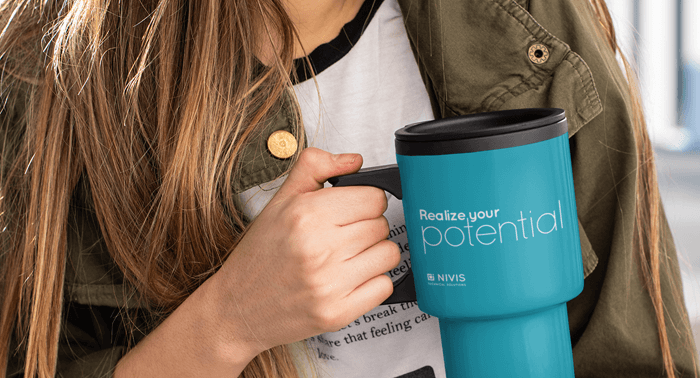 Beyond the products themselves, companies are beginning to realize that, when it comes to customizing a promotional item with their brand, a subtle approach is often more effective than an over-the-top one. A great example of this is clothing. When ordering promotional clothing, companies are starting to focus much more on creating a well-designed item that their recipients will actually wear than on displaying their brand as visibly as possible. Small embroidered patches, subtle custom tags, and understated tone-on-tone colors are becoming preferred over large logo imprints. In 2019, subtle touches will become more popular than ever. Companies will want to give out items that have an impressive retail feel, that they know their recipients will use. As anyone who’s recently shopped for promotional products knows, the options are seemingly endless. Today’s decoration and customization options allow companies to express any style. That’s never been truer than it will be in 2019. With even more new and unique materials and finishing options, we’ll see an increase in creativity—and a decrease in plain, boring promotional products. By naming Living Coral as its 2019 Color of the Year, Pantone has once again chosen a bright, lively color that evokes energy and positivity. Pantone’s Color of the Year has influenced product development and purchasing decisions for over twenty years, and it’s no surprise that we’ll see pops of color continue to make their way into promotional products this year. A matte finish can lend a sleek and elevated look to almost any product, giving it a more refined appearance that is completely on-trend. Heathered fabric is having a moment in the spotlight! Everything from clothes to hats to blankets can be found with this extremely popular fabric style of mixed interwoven colors. The increasingly popular rustic chic look has extended to promotional products with the burlap trend. Whether it’s used as an accent or as the main material, burlap adds an eye-catching and trendy vibe to any product. “Soft-touch” refers to a particular finish on certain items that makes them silky-smooth to the touch. Not only is this finish more comfortable to hold than more traditional plastic, but it adds the perception of higher quality. Gift set, bundle, or kit—whatever you call it, the trend of packaging several cohesive promotional items together will be at its peak in 2019. Companies are loving the positive impact gift sets have on their recipients. Their increasing popularity stems from the fact that they’re simple and versatile, yet extremely effective. When it comes to creating thoughtful, impressive promo product kits, there are several options. First, you can build your own. We have a whole article about building your company’s own logo gift set that is full of information about how to select the right products and packaging. The great thing about assembling your own promotional kit is that you can have full control over everything from the packaging design to the items inside. You can also order gift sets that are assembled and packaged for you. This is a more turnkey solution that makes just as much of an impact with a more DIY approach. With people putting more thought and strategy into their promotional products and corporate gifts than ever, it won’t be surprising to see kits, bundles, and gift sets soar in popularity this year. 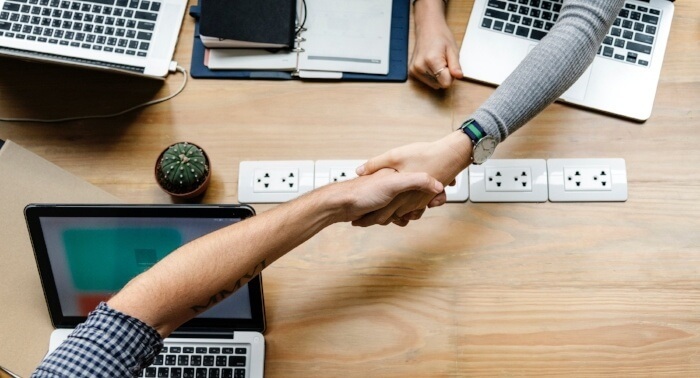 In an age of bluetooth headphones, waterproof speakers, and a myriad of innovative multi-purpose promotional items, it might be surprising to learn that work-related promotional items are trending for 2019. But when you think about trends in company culture, it actually makes a lot of sense. Companies want their employees to be brand ambassadors, and what better way to do that than by stocking their desks with cool company swag? What are the most popular desk accessories for 2019? We expect to see mousepads, coasters, phone stands, and desktop speakers continue their rise this year. One specific trend is the New Employee Welcome Kit. Companies are welcoming employees into their new workspaces with a curated kit of useful items. Even colleges and universities are beginning to jump on the trend of welcoming new students with branded supplies. So, while these certainly may not be the same old desk accessories you’ve seen in the past, this category will continue to become more popular. Gone are the days of bringing whatever existing giveaways you happen to have to events. Today, companies are using events as opportunities to create complete brand experiences with everything from their booths to their promotional items. Event-specific giveaways will become a necessity in 2019 as companies vie for audiences’ attention. Whether it’s a high profile event with thousands of attendees or a local trade show, event-specific giveaways make an undeniably positive impact on recipients. Our favorite example from the past year is the Owly.fm brand activation strategy Owly was sponsoring a stage at the Vans Warped Tour traveling music festival. Knowing that their audience was going to be outside on hot summer days, Owly.fm opted for giveaways specifically designed to be useful, such as sunscreen sticks, fans, sunglasses, and fanny packs. The product designs showcased their fun, youthful brand while the usefulness of the products made them distinct and memorable. Ready to start planning your brand activation strategy for 2019? It’s simple, schedule a 15-minute discovery meeting with Cathy Houston here.